At MAKS’2015, the KRET corporation unveiled a new version of the AESA radar developed by its member company Phazotron-NIIR for the MiG-35. Dubbed FGA35, the unit features more modern solid-state transmitter modules than those used on experimental AESA carried by a prototype aircraft mission in frame of the Indian MMRCA tender. Further, the MiG-35 has emerged as a primary platform for fire-trials of the Grom guided munitions from Tactical Missile Corporation (Russian acronym TRV), that were unveiled at MAKS’2015. A missile designated E1 and a glide bomb designated E2 were shown. TRV CEO Boris Obnosov told reporters that examples of the Grom have already been submitted to the Russian MoD for trials. Korotkov claimed that MiG’s order backlog has risen to US$4 billion, but declined to specify how. The most recent order to be announced was that of the Russian air force, placed in March 2014, for 14 MiG-29SMTs and two MiG-29UBT fighters. Orders from Arab nations remain unconfirmed, including the one from Syria placed in 2007 for 12 MiG-29M/M2 multirole fighters. Egypt is reportedly looking to acquire 46 MiG-35s, but the deal worth US$2 billion is yet to be signed. A total of 32 MiGs will be delivered to domestic and foreign customers this year, Korotkov said. RAC MiG is still delivering the 24 MiG-29K/KUBs ordered by the Russian Navy in 2012. Most of MiG’s US$800 million foreign earnings last year came from the Indian navy’s order for the same carrier-based version. Total income increased by 30 percent in 2014. Part of that also came from the overhaul and modernization of MiG-31 interceptors. According to Korotkov, the Russian government has decided in principle to add the NAZ Sokol factory at Nizhny Novgorod to the RAC MiG structure. 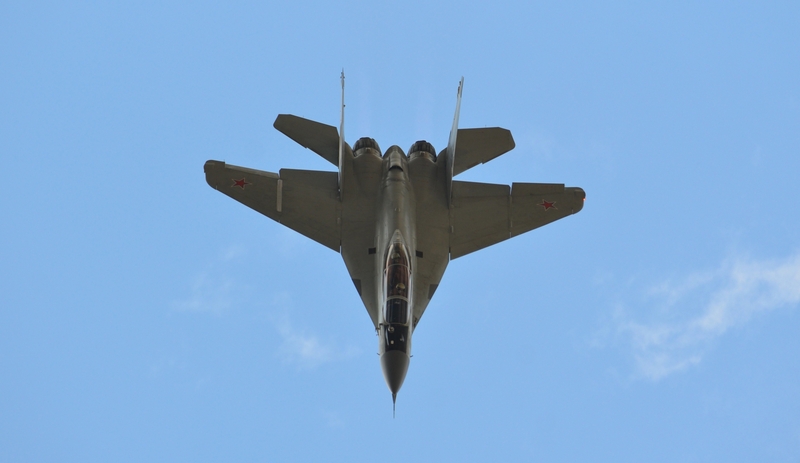 It has produced MiG-29s, MiG-31s and the Yak-130. RAC MiG is working on a fifth generation fighter using some of the technologies and design solutions that were applied to the 1.44 technology demonstrator. After long delays, this flew in 2000 but was cancelled the same year. It was on static display for the first time at MAKS’2015.